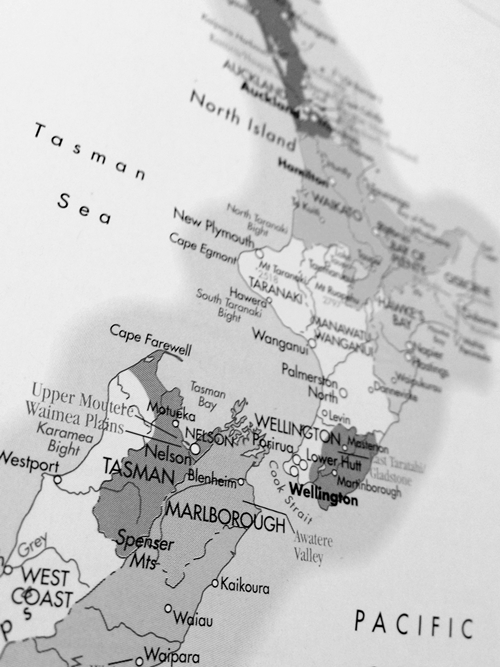 New Zealand was first recognised as a fine wine producing country in February 1985, when the New Zealand House in London presented wine critics, buyers, and journalists to the Marlborough wines. It was especially a Sauvignon Blanc from Cloudy Bay that captured their affection. Its racy vitality and crisp fruitiness made them acknowledge the Marlborough wine region as truly unique. The British wine critic Oz Clarke has on numerous occasions advocated for the region, which he accounts among the most suitable terroirs in the world for Sauvignon Blanc. 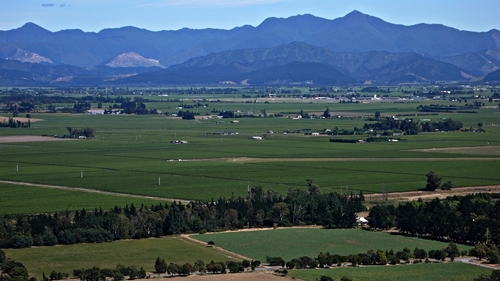 North-western view across the Marlborough valley from the hills at Churchward Park. The park is like Wither Hills Park quite close to the town Blenheim, and both are great places for hiking. 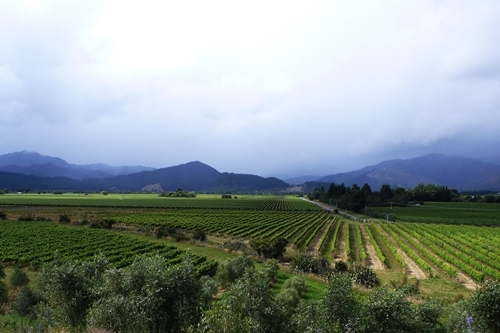 View towards Wither Hills and the Cloudy Bay, which has given name to Cloudy Bay Vineyards. Marlborough is one of the places on Earth where the ozone-layer is thinnest. This results in very intense sunlight with a much higher concentration of ultraviolet radiation, and was it not for the maritime influences and the cool nights would the winemaking be significantly different here. 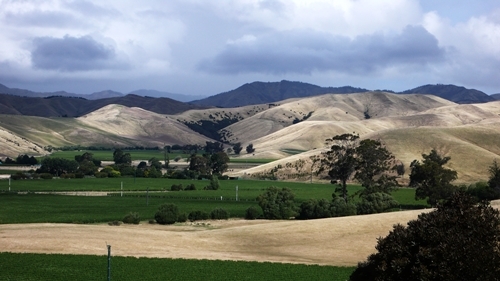 There are many beautiful sites in the Marlborough region. Here we are closer to Renwick. 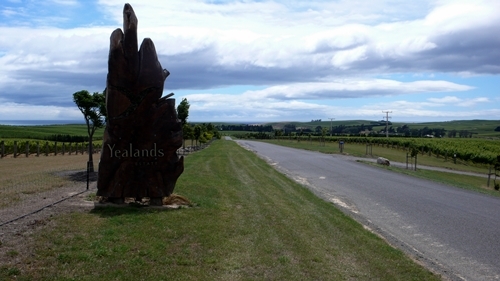 Yealands Estate is perhaps not regarded among NZ’s finest producers. They do though make extraordinary Sauvignon in their Single Block Series, and their elevated position enjoys spectacular views over Clifford Bay. 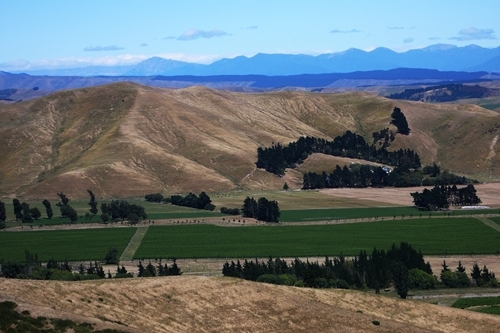 The winery and their Seaview Vineyard is positioned near the Awatere River, south east of Blenheim, and reached by taking road 1 to Seddon. 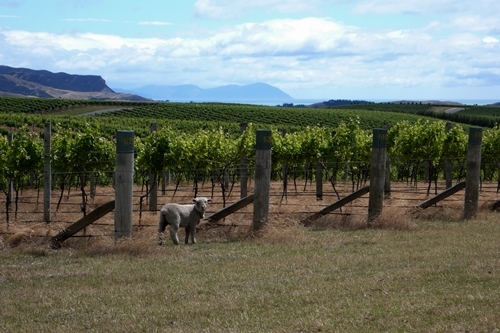 The Seaview Vineyard has not only great views of the rolling hills and Clifford Bay, it is also home to a special breed of miniature sheep. The baby-doll sheep are adorable, and used to mow in between the vines, by grassing and occasionally stealing some berries of the vines. 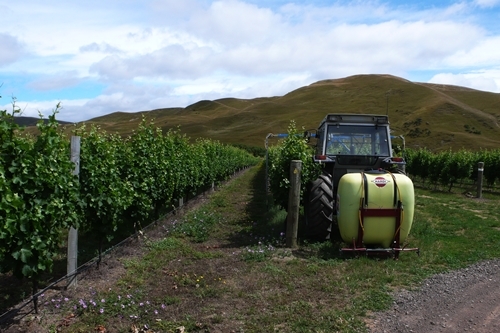 They moreover play part in Peter Yealands’ sustainable winegrowing program and have replaced 7 tractors. Seresin is like most of NZ’s cellar doors very humble and focus mainly on giving visitors the possibility to taste their extraordinary wines. Michael Seresin is a cinematographer, who is known for filming Harry Potter and the Prisoner of Azkaban. He has in addition created exceptionally good Pinot Noir and Sauvignon with winemaker Clive Dougall. The recipe is a combination of organic farming, gentle processing, and using indigenous yeast. View across vineyards near Renwick. The vines are mainly planted with wide gaps in between, this is so the maintenance can be done with the use of tractors, as the one pictured here. A Sunday drive can for the same reason take place in the vineyard. 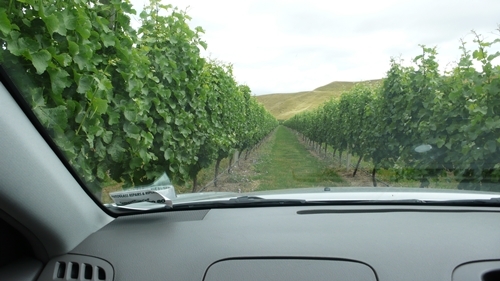 Here a picture from our local friends’ car and vineyard in Marlborough. Brian is a lawyer, but having clients such as Clos Henri, has inspired him to invest in his own vineyard. 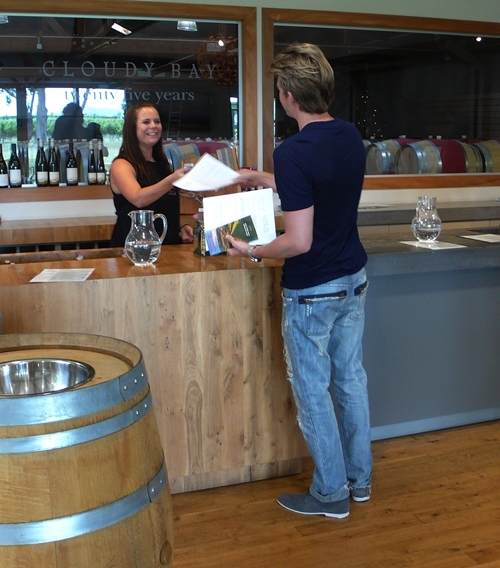 Cloudy Bay Vineyards is both responsible for putting NZ on the map of fine wine, and for forming and developing the Marlborough region towards the production of fine wine. 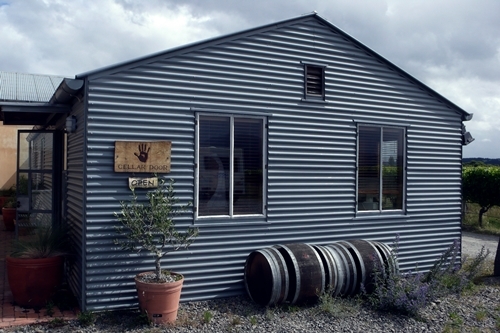 Many local winemakers have started their days at this winery. And they have later on developed world famous wineries and brands such as Dog Point (by Healy and Sutherland) and Greywacke (by Kevin Judd). 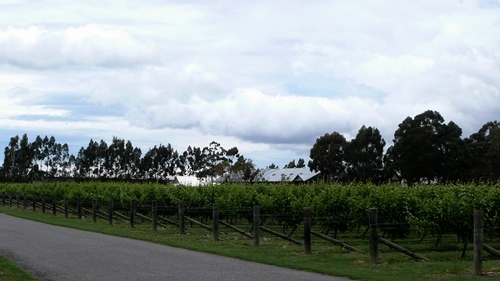 View towards the Richmond Ranges from Jacksons Road, where Cloudy Bay have the original vineyard (first planted in 86′) and their Cellar Door. 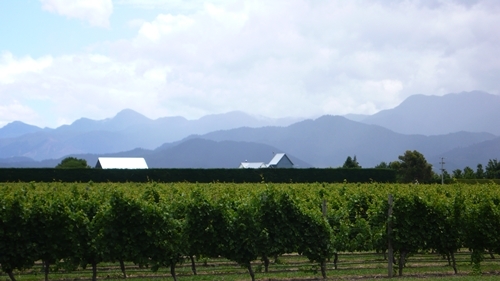 Their view of the Richmond Ranges is also depicted on the Cloudy Bay label. 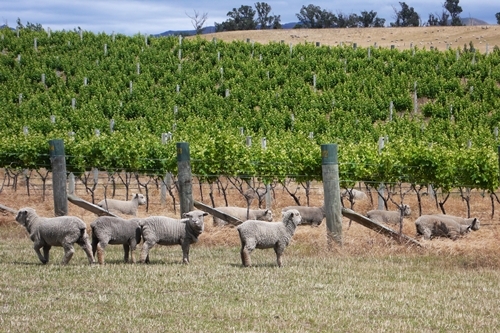 The Cloudy Bay Estate was established in 86′, by converting a sheep and cattle farm into vineyards. They was though forced to replant their vineyards to phylloxera-resistant-rootstocks in 1992, due to the arrival of the louse in Marlborough. Their vineyards on Jacksons Rd are planted on stony free draining soils, and almost entirely to Sauvignon Blanc, with a small quantity of Chardonnay. 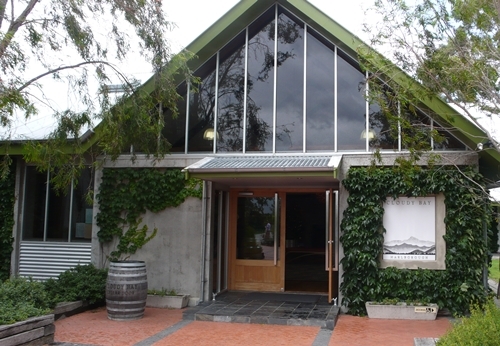 Here the entrance to their Cellar Door, which is decorated with a mirror of the Cloudy Bay label. 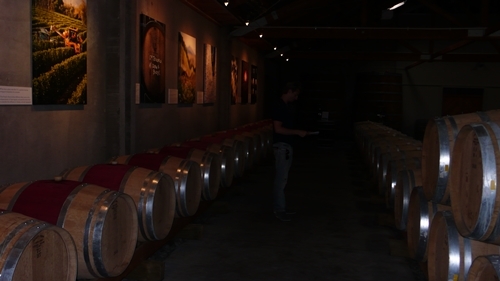 The barrel room holds not only their Pinots, as most of their wines are fermented on oak. It is actually only the entrance Sauvignon Blanc that is made without oak. Their unique Sauvignon Blanc Te Koko actually experience both a slow wild fermentation (using indigenous yeast) in the oak cask over 8 months, and is left an additional 10 months on its lees. This gives an incredible character, depth and creaminess in the final product. A truly remarkable wine! 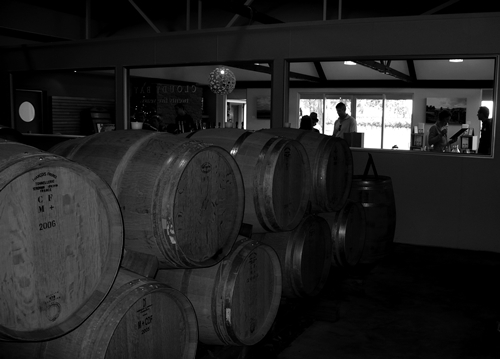 The tasting room has a clear view of their barrel room. Where the aged Sauvignon Te Koko and the sparling wines Peloris have become more complex over the years, their entrance Sauvignon Blanc seems to have gone towards a more subtle and pleasing style, following the trend of using less oak. Te Wahi (the Maori term for: our place) is the latest addition to their portfolio. It was not yet released when we visited (released in 2013). A terroir focused Pinot Noir, that combines three subregions in Central Otago. Tasted the 2011 vintage at a private tasting last year – definitely a brilliant Pinot, although it does not yet match the releases from small producers in Central Otago like Black Ridge Vineyards. 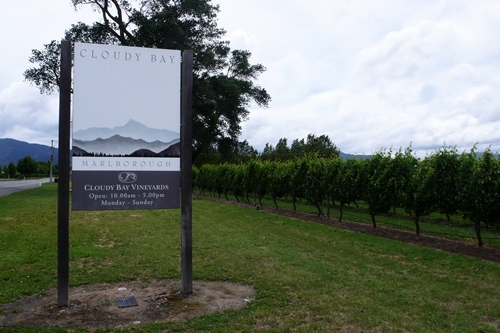 One should not forget Cloudy Bay’s limited releases and their late harvest Riesling. Rare, well priced, and made from low yielding vines. They can be exceptional, even extraordinary, and are undervalued treasures in their portfolio.